After last year’s tragic hospitalisation and deaths of more than thousands of farmers across the country, the Union government had drafted a bill to check the inhalation or overuse of deadly pesticides. The bill was open for public feedback till March 6. However, the Bharat Krishak Samaj, a farmers’ non-profit said in a statement in a conference on March 5 that the bill would not serve its purpose. In case of any incidents, the liability will not be on manufacturers but dealers and farmers. The draft also encourages pesticides’ use to increase productivity instead of promoting organic farming. “This doesn’t talk about minimising pesticides’ use,” says Amit Khurana, senior programme manager, Food Safety and Toxins, Centre for Science & Environment (CSE), a Delhi-based non-profit (see box for CSE’s recommendations). Arvind Patel, Secretary, Agro Input Dealers Association, a Delhi-based organisation, which represents 800,000 pesticide dealers across India, questions how a dealer can be held responsible for selling misbranded products? According to the Bill, “Whoever imports, exports, manufactures, sells, stocks or exhibits for sale or distributes any misbranded pesticide shall be punishable with a fine which shall not be less than one lakh rupees but which may extend to five lakh rupees or with imprisonment for a term, which may extend to two years, or with both.” It also states that the dealer’s license will be suspended or cancelled. Dealers complain that they do not have infrastructures to test products. “We follow all the government norms and pay taxes. So necessary action should be taken against the manufacturers and not the dealer,” adds Patel. Regulation should be with the health ministry, not agriculture ministry as it is driven by productivity motive. The objective of the bill should be to minimise pesticide usage and not about producing safer pesticides. A preamble should say pesticide use is not sustainable. The bill should also include sustainability as its aim. 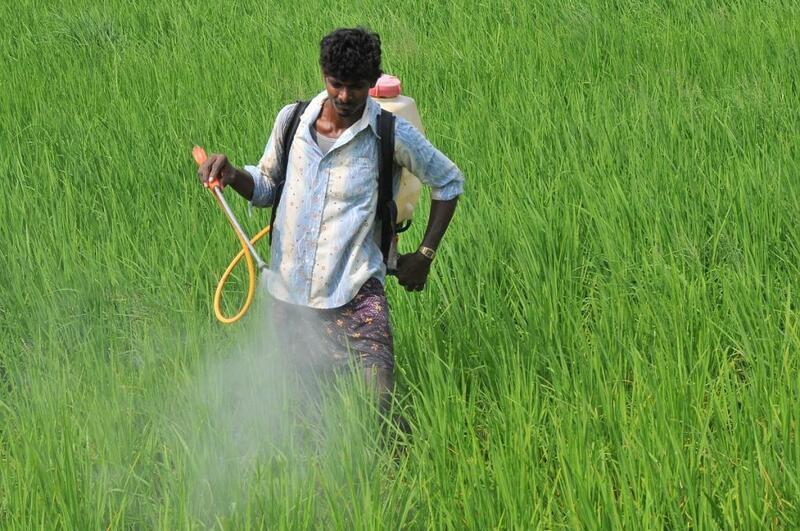 State governments must have a greater role in case of decision making on pesticide management. The existing draft provides inadequate representation to states in both pesticide board and the registration committee. The state should have the say on final decision making on pesticide, as they have the best understanding on the agro ecological climate, environment and soil conditions. Pesticides are hazardous chemicals, and should be sold only by prescription. Any one selling without a prescription should be legally punished.